As a mercury-free and mercury-safe practice in the Denver metro, South Lakewood Dental prides itself in responsible handling and removal of this metal, and in the safe restoration of damaged teeth with nontoxic dental materials. Why the fuss over mercury? 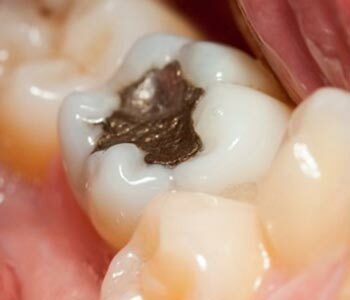 You may be exposed to mercury through silver fillings. These fillings, which have been used in the U.S. since the 19th century, are made from an amalgam of metals including mercury. Due to the presence of elemental mercury, these fillings are banned in some countries. The International Academy of Oral Medicine and Toxicology minimizes mercury exposure during the removal of silver fillings by establishing standards that are followed by Dr. Stewart for the safety of his patients, staff, and to prevent mercury from being released into the environment. At higher exposure, mercury is associated with kidney, respiratory, heart, and vascular problems. Dr. Stewart and his team don’t share these risks to be alarmist; the public should be aware of the potential dangers that affect the quality of life. As a holistic dental practice, it is South Lakewood Dental team’s responsibility to partner with you for the good of your oral and overall health, and silver fillings have no business being in your mouth! Call (855) 233-0023 to schedule an appointment in Lakewood.